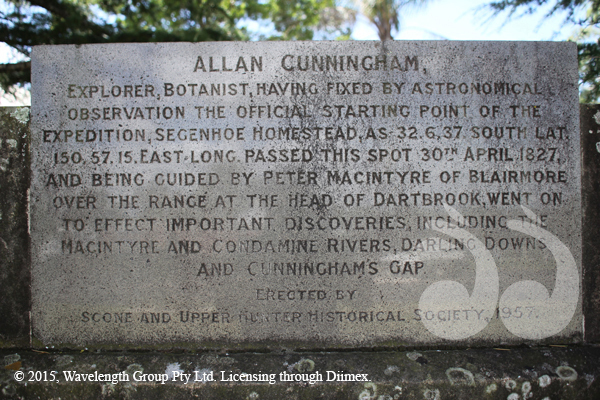 In 1957, the Scone and Upper Hunter Historical Society erected a monument to botanist and explorer, Allan Cunningham. Allan Cunningham was the first European explorer to travel into the Scone area when he reached the Upper Dartbrook and Murrurundi area in 1823. Cunningham returned to the Scone area in 1827, using Segenhoe as the starting point for his exploration over the Great Diving Range to Moreton Bay. Cunningham’s Seat commemorates the spot Allan Cunningham passed on his journey on his way to Segenhoe. 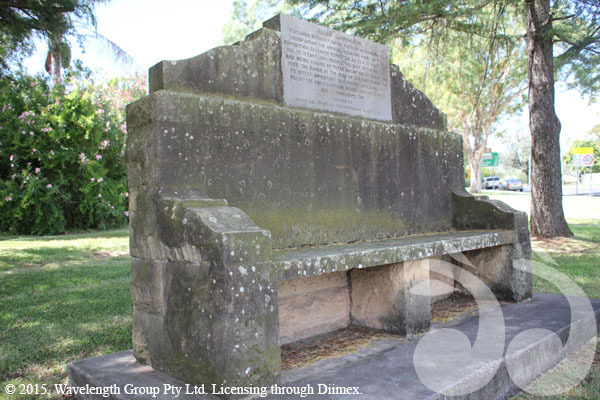 The Allan Cunningham Seat in Rotary Park Scone, marks the spot he passed by in his 1827 expedition.